Notes: "Alexander Brothers, manufacturers of oak leather belting. 410 & 412 Nth. 3rd St. Philada." --Display sign. Notes: Error in the Catalogue of the Centennial Photographic Co.'s View of the International Exhibition; should be: Machinery Hall. 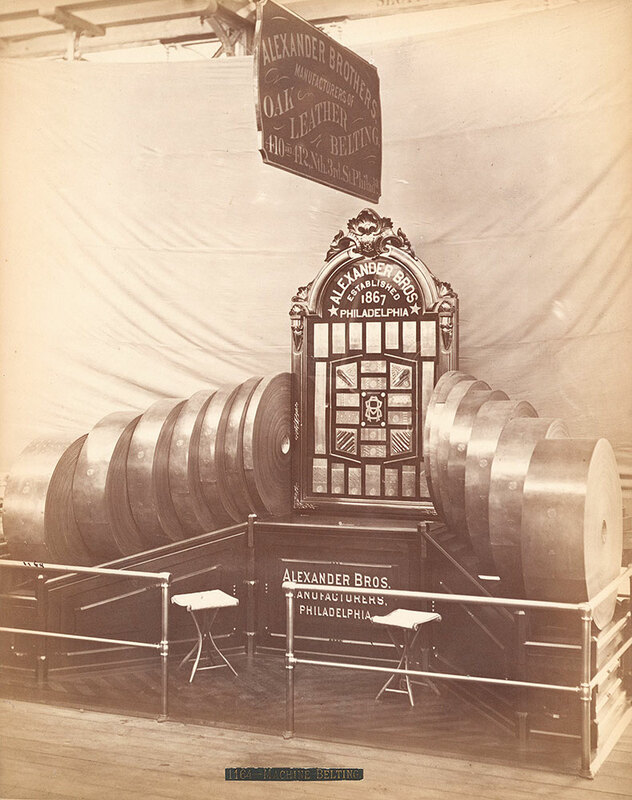 Notes: Exhibit title: Alexander Bros., 410 & 412 North Third Street, Philadelphia, Pa., Exhibit #625, Machinery Hall, Bldg. #2. Notes: Rolls of oak-tanned leather belting on a tiered display stand behind a railing. Two stools in front and a sign hanging overhead. Notes: Title on label: Machine belting.